Porocret, “exposed concrete” beauty in only 3 mm. Madrid, 23rd February – Cement Design, Leader Company in the manufacture, distribution and installation of continuous decorative coatings in eco cement has just launched Porocret, and innovative decorative solution that combines the vintage beauty of “exposed concrete” with the elegance of decorative cement with minimum thickness (just 2-3 mm.). Characterized by an open pore texture and an industrial style and contemporary, Porocret is a coating to be applied on walls and floors. Likewise, is designed to create furniture and decorative items such as counter tops, sculptures or lamps. 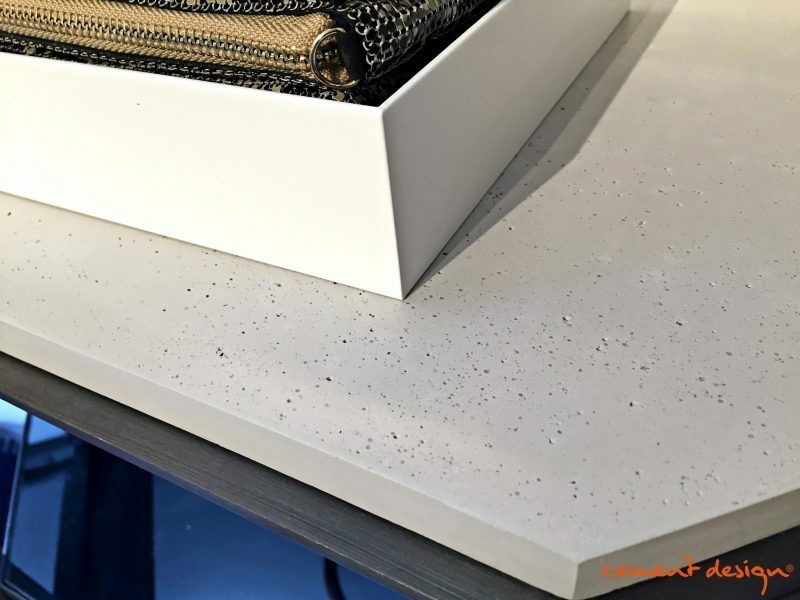 Cement Design presents in the framework of MADE EXPO (P7- Stand H29-L26) this novelty, in addition to another trendy materials such as Cement Roll, a coating based on cement in roll format to coat walls of any kind of surface like concrete, plaster, gypsum, tiles or wood. Cement Roll finishes includes refined cementitious textures in addition to metallic (corten steel, brass, aluminum), textiles and stony. Cement Design is synonymous of functionality at service of innovation and design, being endorsed by certifications such as CE, Emicode, Applus and Muuz Award for ‘Best Innovation Decorative’. With presence in more than 40 countries, it has a wide delegations network, responding to projects with different scopes around the world.